The oldest place of pilgrimage to Virgin Mary in Alta Pusteria - Santa Maria. Text translated and images from: Karl Gruber/Hans Griessmair: Südtiroler Wallfahrten. Athesia. The oldest place of pilgrimage to Virgin Mary in Alta Pusteria takes us to Santa Maria to the Sorrowful Mother - already known as pilgrimage site in the year 1333. The church was consecrated in 1474 and enlarged during baroque (1750). Santa Maria was supported by numerous dispensations of indulgence - like Casteldarne/Ehrenburg. The main religious festival, the so called "Schmerzensfreitag" (painful friday), always brings many pilgrims to this place of grace, small groups of pious prayers visit Santa Maria throughout the year. The Youth Pilgrimage 1987, headed by Prelate Dr. Chrysostomus Giner, Neustift, started in the impressive parish church of Dobbiaco and went as a light procession to Santa Maria. 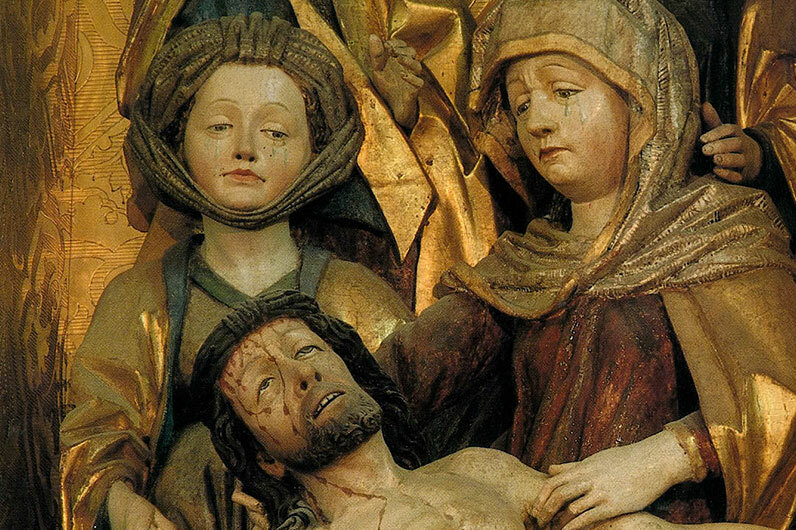 Santa Maria's image of grace is a "Pietà", the sorrowing mother with the body of the dead son, with the holy women Magdalena, Maria Salome, Maria Kleopha and Martha, as well as Apostle Johannes . 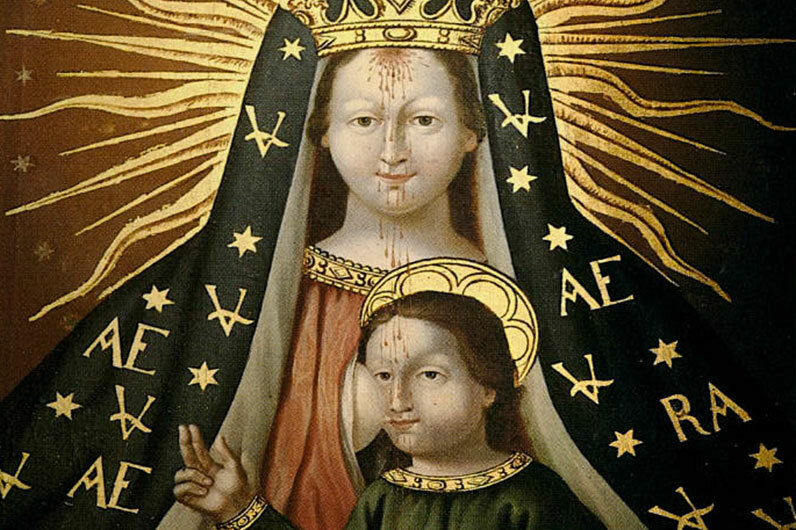 The expressive image ist from around 1470.